Take every stereotype you have of Mexicans and throw them out of the window: That’s México City. My previous encounters with the country have only been in the Yucatan peninsula. You know: Cancún and Playa Del Carmen, the typical resort and tourist towns of eastern México. Chilling by the Angel of Independence. 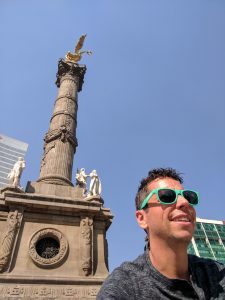 México City, Distrito Federal (DF), CDMX, or whatever you want to call it, is a modern and vibrant city that is full of energy. Every Mexican that I encountered tried so hard to prove to me that they are a hardworking people. Trying desperately to break the stereotypes of the drunk and lazy Mexican wearing a sombrero. Cities in Canada and the United States can learn a few things from the largest city in North America. Mexico City is safe, very safe. Not once did I not feel that my personal security was at risk. 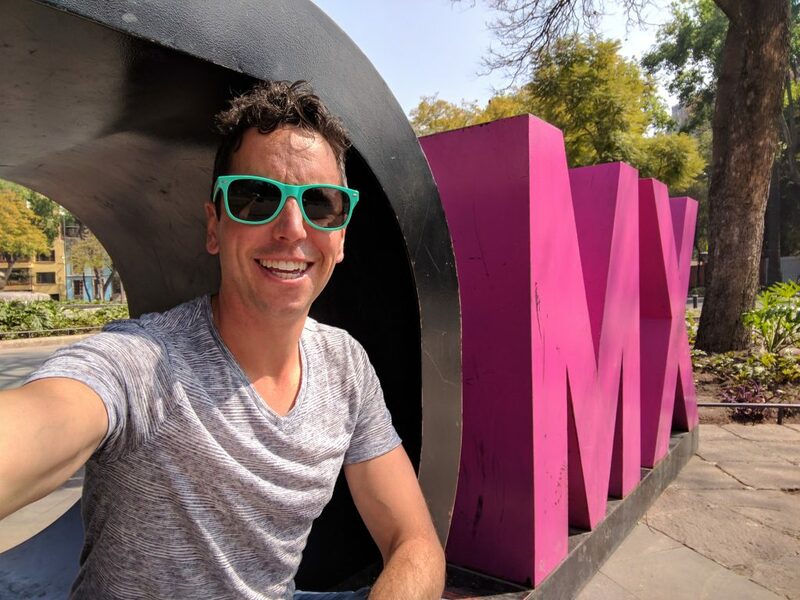 For the first half of my visit, I was staying in an amazing AirBnB in a neighbourhood called La Condesa. It’s been described to me as a “hipster” neighbourhood with coffee shops and “artisanal” restaurants (read: a restaurant that serves non-mexican food). Suffering from a brutal cold, I had to get a decongestant to help me breathe. A simple task considering there are pharmacies (Farmacias en Español) on every street corner. I explained my symptoms to the clerk in broken Spanish and she gave me a box of pills for $15MXN. I get back to my apartment and look up the ingredients before popping a pill. Not a single decongestant was to be found! Damn. I hit up another pharmacy, and asked for a specific drug: Pseudoephedrine. No dice. You need a prescription for them to sell anything that’s an amphetamine. She did give me something else and promised me that it would help my situation. Drugs in hand, I was now able to conquer this amazing city. First Stop: The National Museum of Anthropology. As soon as you walk through the front doors, you’re blown away by the way the place is set up. You step into the courtyard, which contains a huge concrete umbrella that is supported by a single large pillar. To visit the exhibits, you enter and exit rooms that form a ring around the outside of the courtyard. One of the many skulls on display at the museum. The museum focuses on Aztec and other rarities from México’s past. 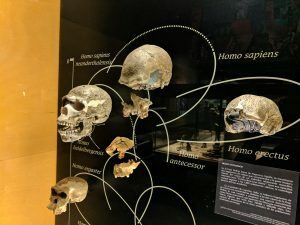 However, a small section includes information and artifacts about how humans evolved from all around the world. If you are interested in how we lived thousands of years ago, this is the place to visit. After spending a few hours in the museum, I decided to walk the city. 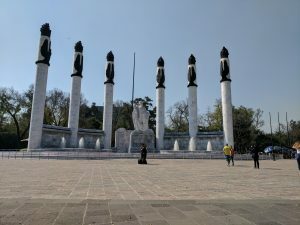 There is a lot to see within an hours walk of the Museum and I recommend strolling through Chapultepec park then head north-east along Paseo de la Reforma to visit the Angel of Independence. Along this route you will stop by a monument commemorating the Niños Héros. These Boy Soldiers stopped Chapultapec Castle from falling into American hands during the Mexican-American war in 1847. No visit to Mexico City would be without seeing the Angel Of Independence. The 7 tonne, 24 karat gold statue of Nike (the Greek goddess of victory) sits atop a 36 m tall column commemorating the centennial of the beginning of Mexico’s War of Independence. Crossing the insanely busy traffic circle to get up close and personal with the statue can be a challenge, but is worth it. Gearing up for New Years!